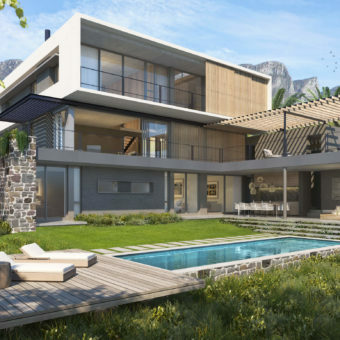 Situated against the slopes of Lion’s Head, the site offers views of the Twelve Apostle Mountain Range, the Atlantic Ocean, and Camps Bay. Using these magnificent vistas as a canvas, the design of the house aims to frame the views by means of pure geometric shapes and planes. The form of the design was derived from the idea of the building growing from the site. The lowest level takes the shape of a stone plinth, with the middle level being a glazed void under the top level. The top level is expressed as a hovering box. The building reveals itself slowly, and is set back from a narrow street boundary edge in order to preserve existing mature trees. 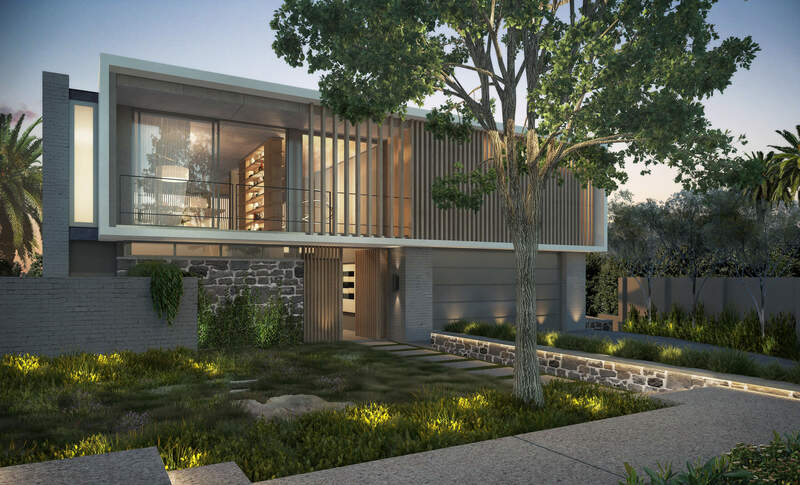 This idea is further strengthened by the lightness of the street façade expressed as a concrete box with shuttered screens floating over the entrance level, creating a lantern of sorts at night. One enters the home on the living level; also being the middle level of the vertical arrangement of spaces. This floor acts as the nucleus of the house. 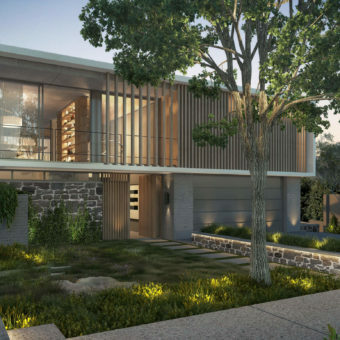 Vast sliding doors allow outdoor and indoor spaces to blend, while moveable timber screens allow for climatic control. The elevation of the living level above the slope of the site allows for some spectacular views of the context. 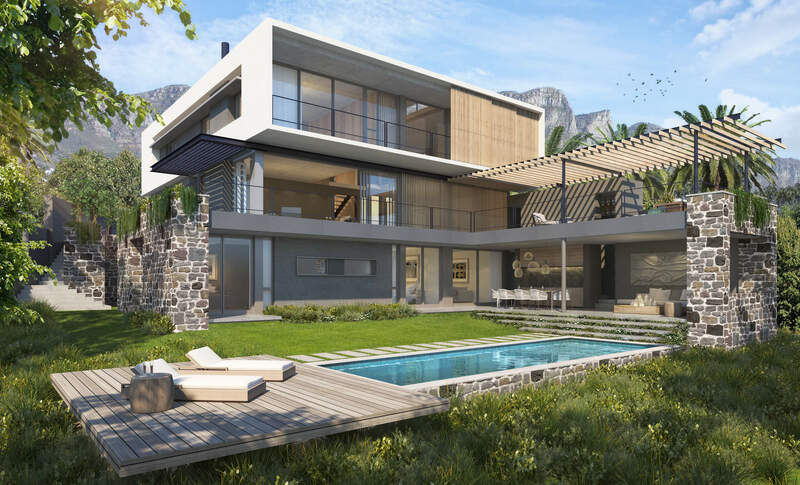 From the living level, one can move downwards towards the children’s bedrooms and TV lounge, located within the plinth, as well as the main garden and pool. Moving upwards into the hovering box, one would find a more serene and private space for the master bedroom with its lounge and a study.